This setup consists of shaker, vibration meter and sensor. - Shaker: Force rating: 5 Newton, Frequency ranges 50Hz to 1 kHz static load on shaker spindle 100 grams. We are a most trusted name in between the topmost companies in this domain, involved in providing excellent quality range of Vibration Arrestor. This Vibration Arrestor is known for its rugged construction and excellent performance. Furthermore, our product range is widely used in different industrial applications. This basic piezo sensor can be used in anti-theft devices, electronic locks, mechanical equipment vibration detection, sound gesture application and detection range bull's-eye counts vibration testing occasions. These vibration levels could be given to any controller/processor and necessary decisions could be taken through it. 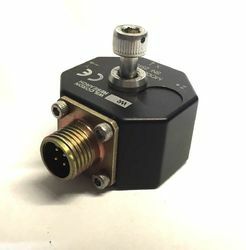 navkarsys.com is a whole supplier of Vibration Sensor. 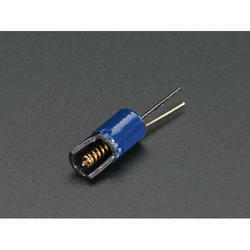 We are recognized as one of the leading Suppliers of a qualitative range of Vibration sensor.